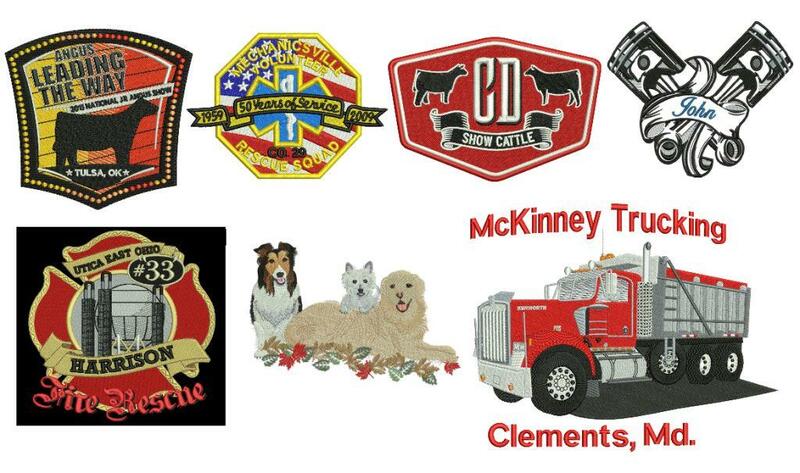 If you are looking for custom embroidery designs, I'm here to do it for you ! I have had several years of experience teaching digitizing classes, and digitizing for individual and commercial customers around the world. I manually punch my designs. 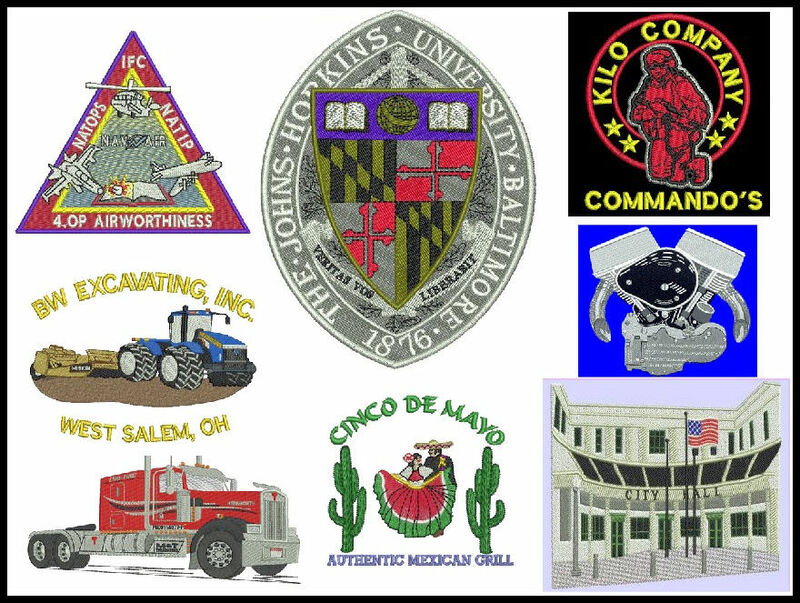 If you have an embroidery shop and would like to see samples of my commercial work, Click on the "Custom" image below to see samples of my custom work. 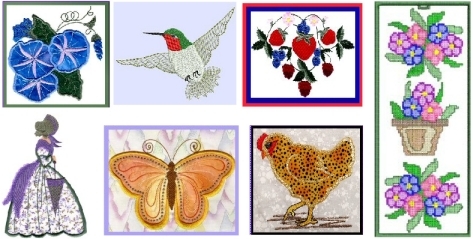 If you are a home embroiderer , I have many beautiful design sets for sale for you to use with your own machine. Just click on the "Stock Designs" image below to see these. Clicking on one of the two images below will take you to a page where you can see my work in each area. Copyright Statement: Any designs I have digitized, including samples, are copyright protected, in all formats. 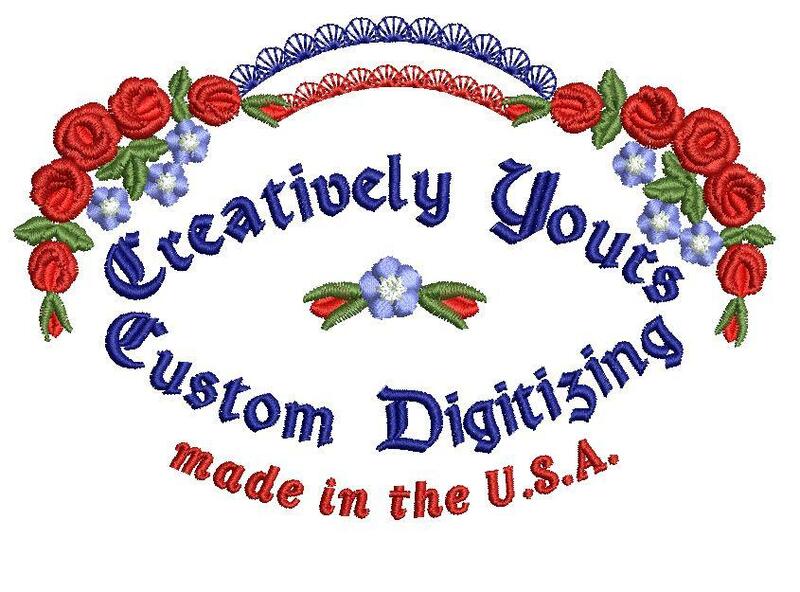 This means you, the buyer, are free to stitch them out forever, and you are free to keep, give away or sell items you have embroidered with my designs - that is why I create them 4 U . However, sharing or selling the design files to others is illegal, and is damaging to the digitizer's original intent. Instead, please share my web address with others so that they may purchase their own designs. I do thank you, in advance, for your integrity in this matter.